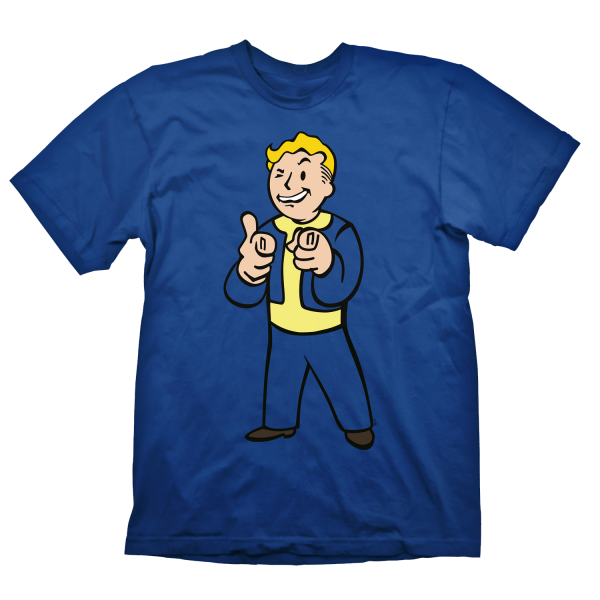 The Vault-Tec mascot from "Fallout" is shown in his "Charisma" variant on this shirt and gives the wearer stunning charm (no guarantee!). High quality silk screen print, 100% pre-shrunk cotton for a long lasting fit, even after being washed several times. Manufactured by Gaya Entertainment.